Advancing Justice-Asian Law Caucus is committed to standing up for our cherished constitutional freedoms and liberties in the post-9/11 environment. We protect the civil rights of individuals and communities unjustly impacted by overbroad national security policies, especially Arab, Middle Eastern, Muslim, and South Asian (AMEMSA) communities. We strive to confront the day-to-day breaches of civil rights to impact the larger social and institutional dynamics that prevent the realization of equal rights through a combination of direct legal services, impact litigation, and public education and advocacy. We, along with the rest of the civil rights community, are here to support AMEMSA communities. You can contact us if you have legal concerns about something that happened to you or your community, to request a “Know Your Rights” presentation, and for additional information and materials. Our most recent “Know Your Rights” booklet can be found here. Need travel assistance while Muslim Ban 3.0 is in effect? Fill out this doc to contact one of our lawyers. 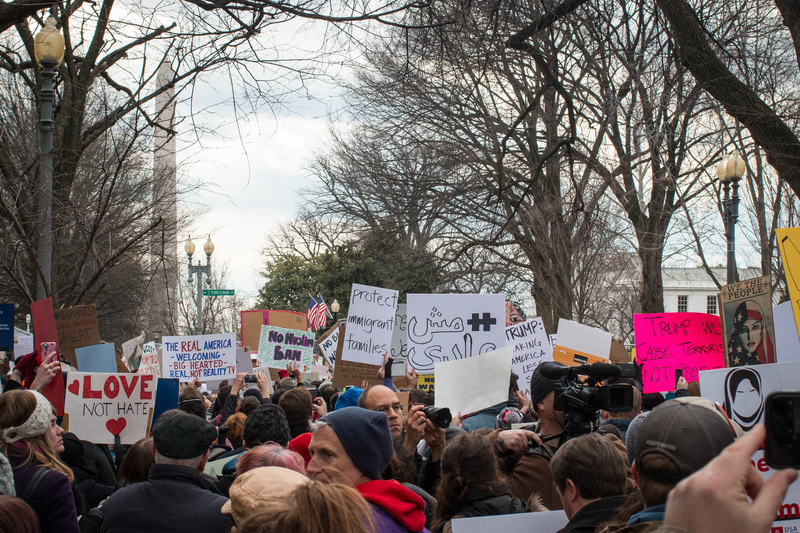 Take a look at our updated Muslim Ban fact sheet here to see the impact of each iteration. Our new community advisory following the Supreme Court order on December 4, 2017 allowing the the new Muslim Ban 3.0 to go into full effect can be found in English here, in Farsi here, and in Arabic here. You can also find our community advisory for Iranians entering the U.S. in English here or in Farsi here. Information on your rights at the airport and at the border are included. If assistance is needed, we have Farsi speakers on staff. One year after Muslim Ban 3.0 on September 24, 2018, the No Muslim Ban Ever campaign issued a fact sheet on the status of the Muslim Ban. Find that fact sheet in English here and in Arabic here. ACLU of Northern California, Asian Law Caucus, and SF Bay Guardian v. FBI (Case No. 3:10-cv-03759-RS, N.D. Cal. Advancing Justice – Asian Law Caucus, the ACLU of Northern California and the Bay Guardian filed a Freedom of Information Act (“FOIA”) request in 2010, followed with a lawsuit to enforce the FOIA in 2011, which produced over 50,000 pages of documents concerning surveillance and discrimination by federal law enforcement of AAMEMSA communities. Along with the ACLU and law firm counsel, the Asian Law Caucus represents five individuals who were the subject of Suspicious Activity Reports that were then placed in federal databases. Without a proper predicate of criminal activity these individuals were placed in a federal database suggesting linkage to terrorist activity. Plaintiffs are seeking to require that before such reports are kept that they have a proper link to wrongful activity. The complaint, filed July 10, 2014 can be found here. Read our opinion pieces here. 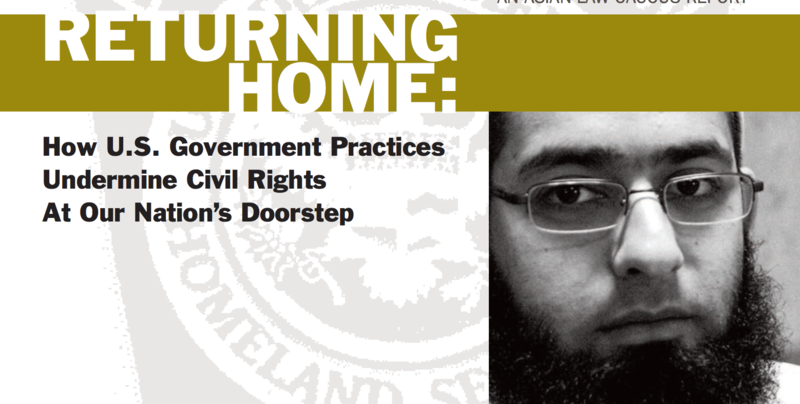 Since mid-2013, Advancing Justice-Asian Law Caucus has been working with civil rights and community organizations around the country to document and respond to a pattern of passport confiscations affecting the Yemeni-American community and depriving it of an essential characteristic of citizenship – the freedom to travel. Please visit http://myembassyrights.us/ for more information or for assistance with this issue. Read more about the campaign here. No walk-ins or standing clinics. By appointment only. We can provide assistance with FBI questioning, problems when entering the US, problems boarding flights, discrimination by law enforcement, and filing Freedom of Information Act (FOIA) requests. To schedule an appointment, please call (415) 848-7714. There are no upcoming events for the National Security and Civil Rights program.